On Tuesday 28 February 2017, they flew inland over a region of forest fires in Senegal. We wanted to sample the emissions from these fires, and they managed to do just that! 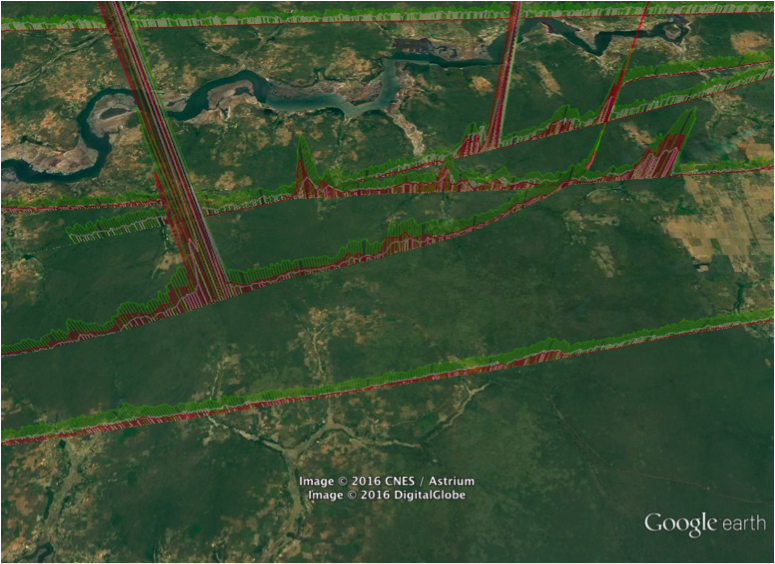 The picture below shows some of the methane, carbon dioxide and carbon monoxide traces along the flight track. The big spikes show the places where they flew through the fire plumes. They saw huge spikes in all these gases – up to 500 ppb extra of methane, on top of the usual 1850 ppb in this region in this season. That’s about an extra 27%! 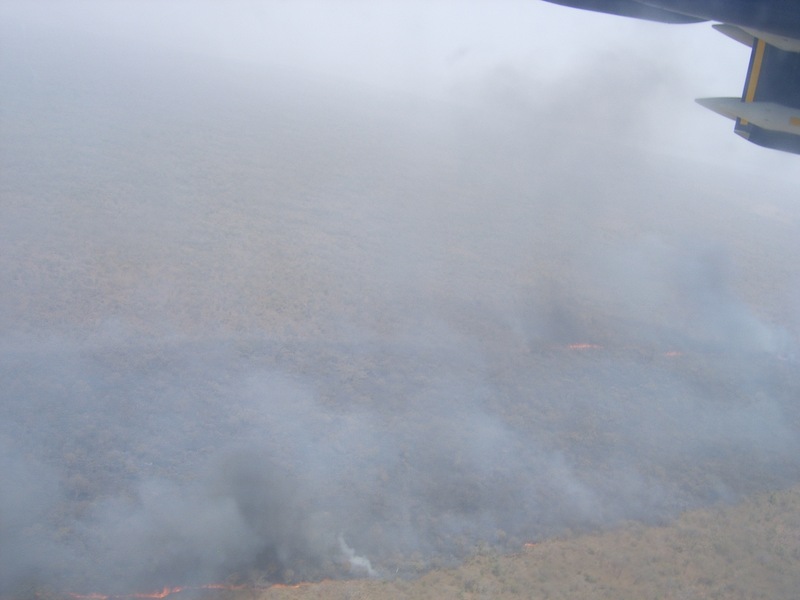 Flight 1: Methane, carbon monoxide and carbon dioxide measurements from a flight over forest fires burning in Senegal shown on a Google Earth map. We should be able to find out a lot about what gases and particles are in these fire plumes when we analyse these measurements – I’m not sure if anyone has ever flown directly over the fires to measure the emissions before! Some of the air inlets experienced a smoky smell and some strong turbulence from the heat from the fires, as well as a bird strike. All in the name of science! 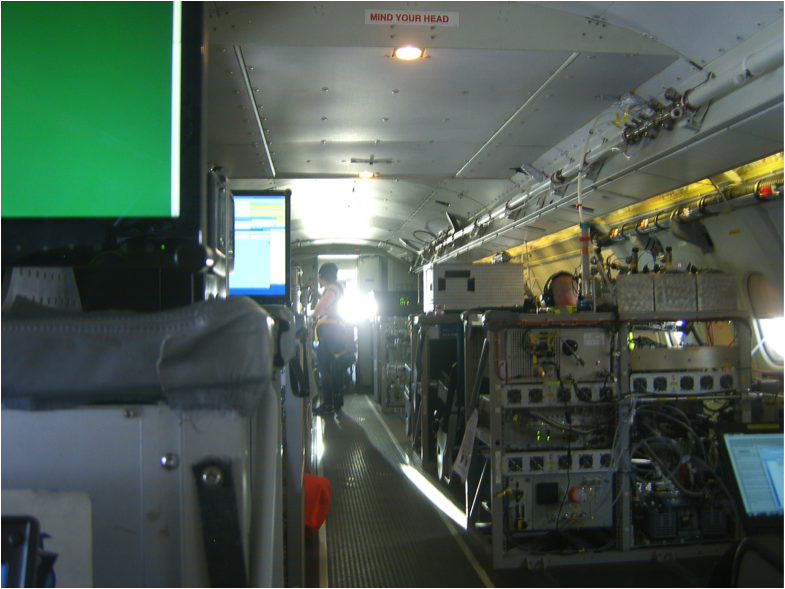 Inside the FAAM atmospheric research aircraft – all eyes to the screens. Next morning, the crew flew back over a similar region of the Casamance, and this time the visibility was very poor. You can see from the photo just how smoky it was. Sampling these fires two days in a row will allow us to find out how variable the emissions are from day to day. 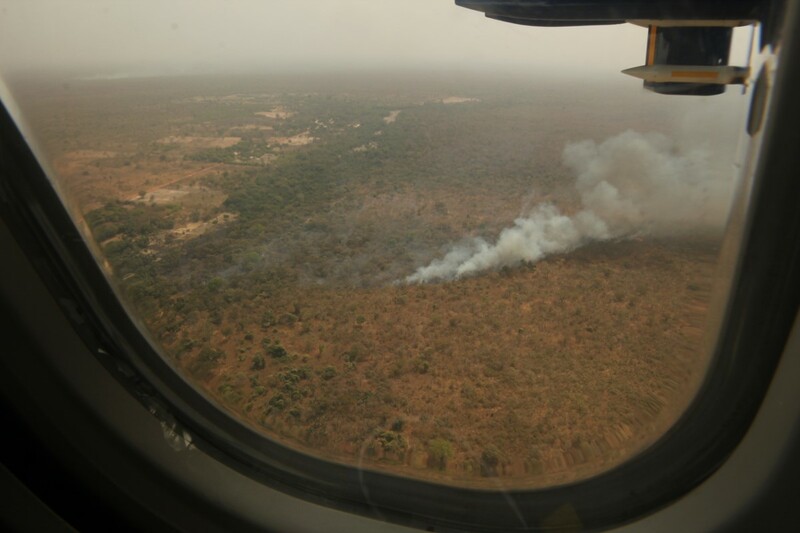 Smoke from the fires in the Casamance region of Senegal. After refuelling in Dakar, the next flight was off the coast, with the aim of sampling fire emissions as they are blown out to sea. The measurements showed there were layers with high levels of ozone, carbon monoxide and nitrogen oxides as well as moderate methane, which may well have been from the fires. The figure below shows the carbon monoxide (CO) levels as the aircraft flew back and forth at different heights. At 5000 feet, there’s a layer of high CO that isn’t present above or below that height. 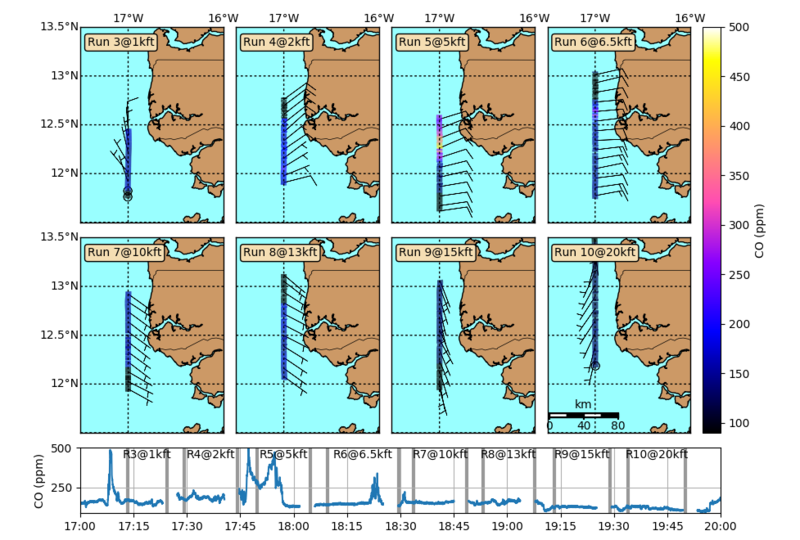 The next day, they flew off the coast again and measured something similar, which one scientist called a “complex sandwiched air mass”! Carbon monoxide levels along the flight track are shown by the colours. High levels at 5000 feet were sandwiched in between cleaner air. So started the first of the MOYA flight campaigns. We are all hoping we will have the same success and luck in the future!